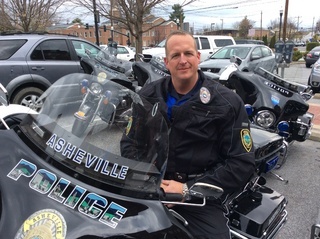 Officer Scott Fry has served for 10 years with the Asheville Police Department. Officer Fry is currently assigned to the Traffic Safety Team. January 2013 Officer Fry was certified by the IACP as a Drug Recognition Expert. Officer Fry is a Traffic Crash Reconstructionist and a member of the Asheville / Buncombe DWI Task Force.